Is Mindfulness Meditation For Everybody? 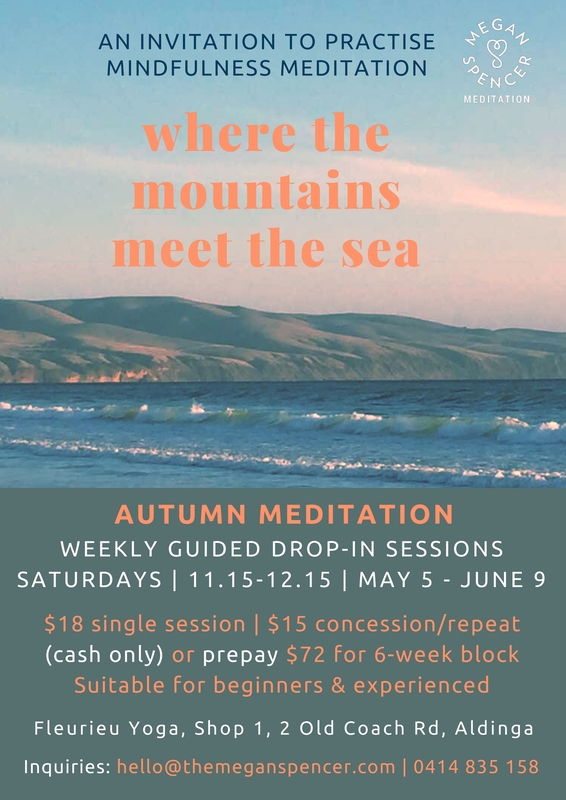 Megan will teach a new 6-week program of meditation ‘drop-in’ sessions at Fleurieu Yoga in Aldinga, South Australia. You’re invited to experience a range of guided mindfulness exercises and meditation practices in a friendly group environment. Sessions are offered as individual ‘drop in’ classes, or pre-buy the 6-week block to receive a 33% discount. Suitable for beginners; experienced meditators who enjoy guidance; those who’d like to refresh or expand their practice; and those who enjoy meditating in a group/community environment. CASH ONLY: please bring correct amount. Or contact Megan to pre-pay by bank transfer. Saturdays, 11.15am – 12.15pm (one hour) | Sat May 5 – Sat June 9 (total: 6 sessions) | Please arrive early for prompt start. (Late entry cannot be guaranteed). Fleurieu Yoga, Shop 1/2 Old Coach Road, Aldinga (aka “Old Coach Road Village”). Customer parking (where available). Amenities at rear of the building. Chairs provided. Some yoga equipment (such as mats and blankets) are also available at the venue. To ensure comfort, please bring BYO a cushion, yoga mat, blanket, water bottle or anything else you might need. Read the Ts&Cs at this link. Want to “try before you buy”? 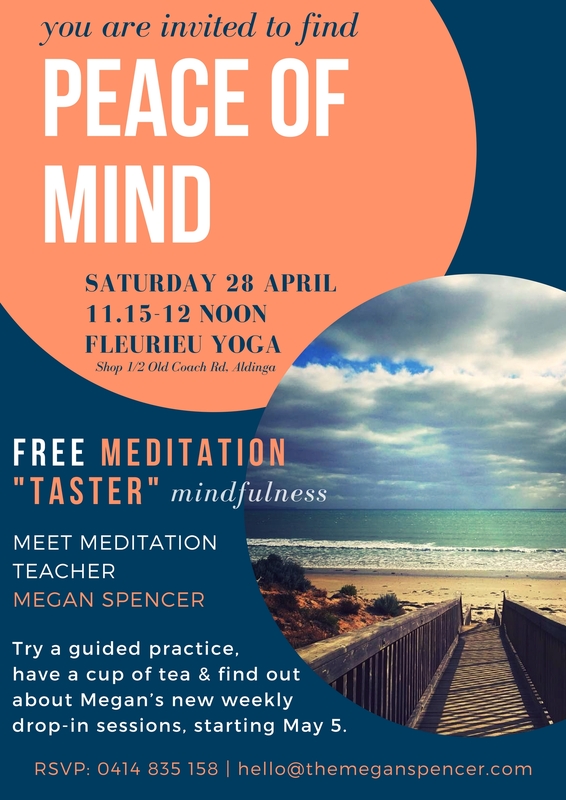 Come and experience a free guided practice, have a cup of tea and and find out more about Megan’s meditation teaching on Saturday 28 April, 11.15am – 12 noon at Fleurieu Yoga. There’s a reason people are turning to mindfulness and meditation: time-poor, super-busy and often overwhelmed by the demands of daily life, increasingly it’s getting harder to find the space to pause, breathe and to simply ‘be’ – to get in touch with our present moment experience – something we all need in order to stay well, creative, inspired and in touch with life. Through this practice comes the possibility of breaking habitual patterns that might no longer be helpful to us. And the fostering of kindness towards yourself and others. The practice of mindfulness gives us the chance to realise the awareness that lies within – you’re already amazing, now get out of your own way! Meditation is the “formal practice” of mindfulness. Meditation instructor Megan Spencer will offer the opportunity to ‘try on for size’ some of the many mindfulness exercises and meditation practices. Come and explore which practice is the right fit for you in a friendly group environment! 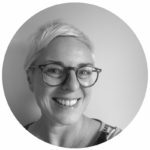 Megan has been practicing mindfulness meditation since 2009, teaching since 2015, first learning Mindfulness-Based Stillness Meditation at The Gawler Foundation. She moved to the Fleurieu Peninsula near Adelaide in January 2018, after 2.5 years living in Berlin, Germany. She has taught meditation in Germany and Australia, and undertaken numerous study courses, teacher trainings and professional development retreats on her many travels. Visit this link for more details and testimonials – or view her Meditation CV here. Download the ‘Autumn 2018 Meditation Drop-in’ flyer to share with friends & family! COPYRIGHT © 2014—2016 MEGAN SPENCER. All text, content and images on this website are subject to copyright and cannot be used or republished without permission.